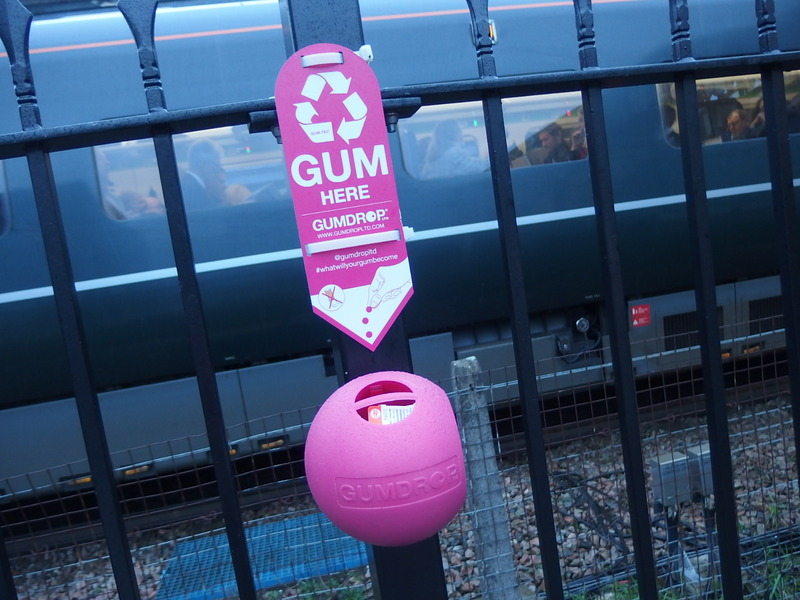 I went to Bristol by train recently and was surprised to find this bright pink Gumdrop near the ticket barrier. I whipped out my camera to take this photo, much to the amusement of the ticket attendant. “That’s new, how long has it been here?” I asked her. “Oh about a year”, she replied. So much for my powers of observation then. 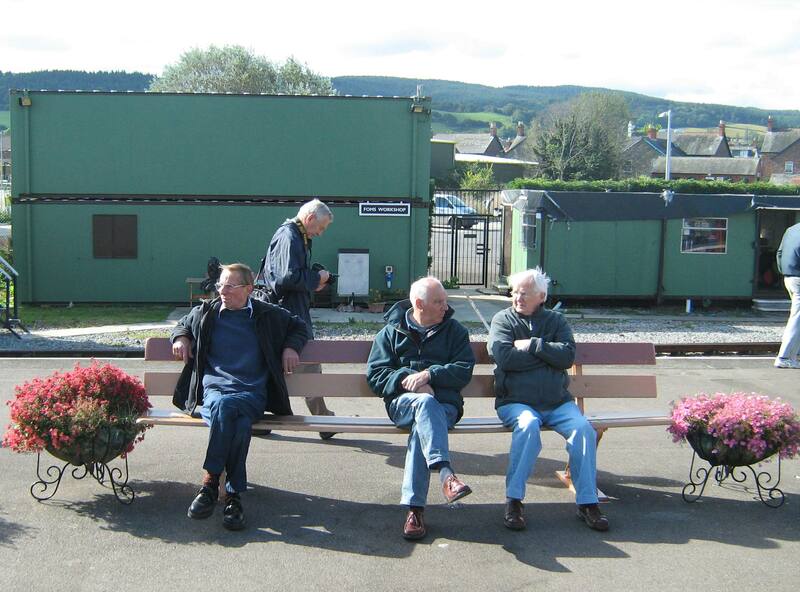 These benches are located en route from Swindon station to the Steam museum which tells the story of Swindon’s now defunct railway works. Indeed we are looking at where the works used to be. 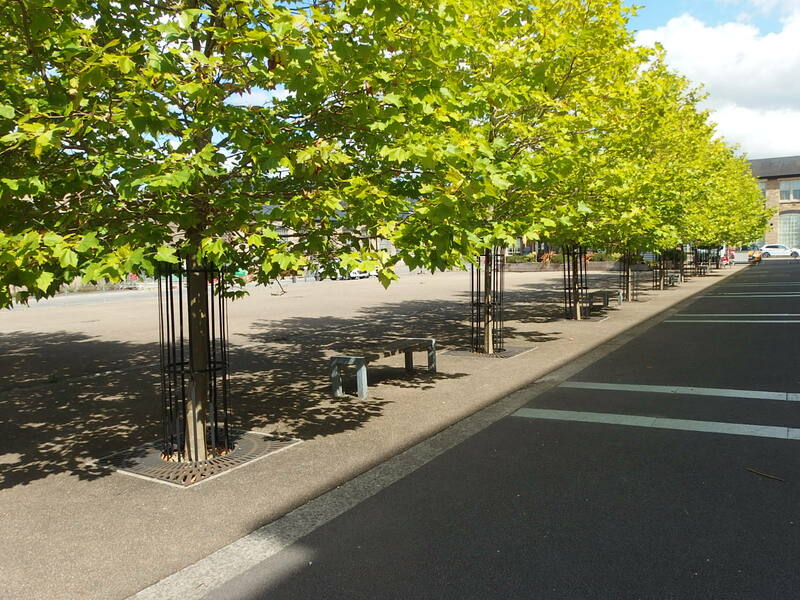 I was particularly interested in seeing how this area had changed as I used to pass through on my way to my voluntary work at Heelis, the National Trust’s HQ. Back then, this area was a mass of railway lines as it was where chains were tested for use on the railway. Some of these chain testing pits are still there to the left of this photo, but the rest of the area was concreted over when they started to build what’s now called the Old Railway Quarter around 10 years ago. I always enjoy coming here to look for clues to the site’s previous use. The buildings you can see at the end are part of Historic England’s HQ and housed the drawing office of the old railway works. Whenever I find a reminder of the old railway works, I always feel a sense of loss, even though this area is being redeveloped with some sensitivity to what went before. It’s hard to imagine the noise, bustle and activity which was swept away and replaced by this much quieter – albeit award winning – scene. An early morning start last week allowed me to view the recently opened new bridge at Chippenham station. This replaced the previous one which only gave pedestrian access to the centre of town (there is another bridge for getting to the platforms) and the Barrow Crossing which I’ve featured before. It also allows access to the platforms via stairs and a lift. For some reason the bridge’s windows have locks on them, which are locked. I wonder when they’d be opened and who would do that. It’s only taken 25 years of campaigning and a few million pounds to get this new bridge installed. If the line wasn’t in the process of being electrified (the old bridge was too low for that), would we still be waiting? You can get an inkling of what the old bridge was like here. 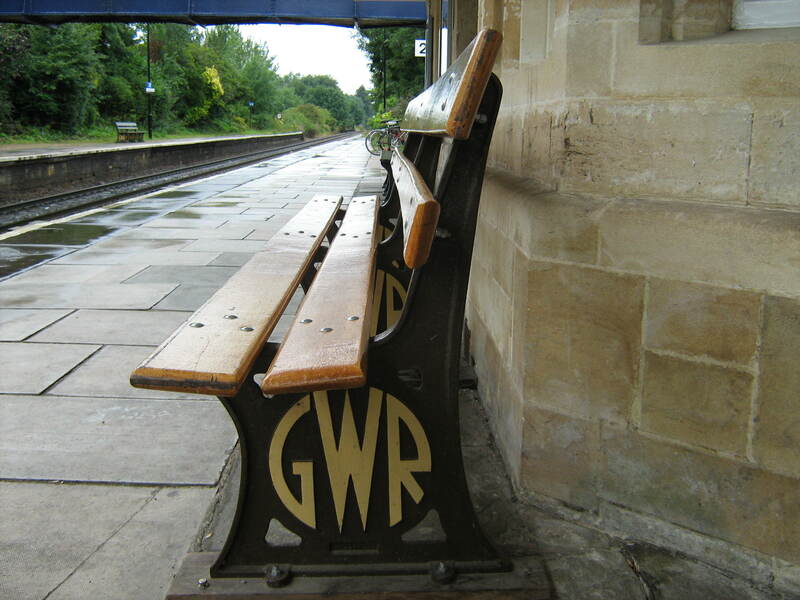 Just to round off my look at railway heritage over the last fortnight, here’s a GWR bench I found at Bradford on Avon station last summer. 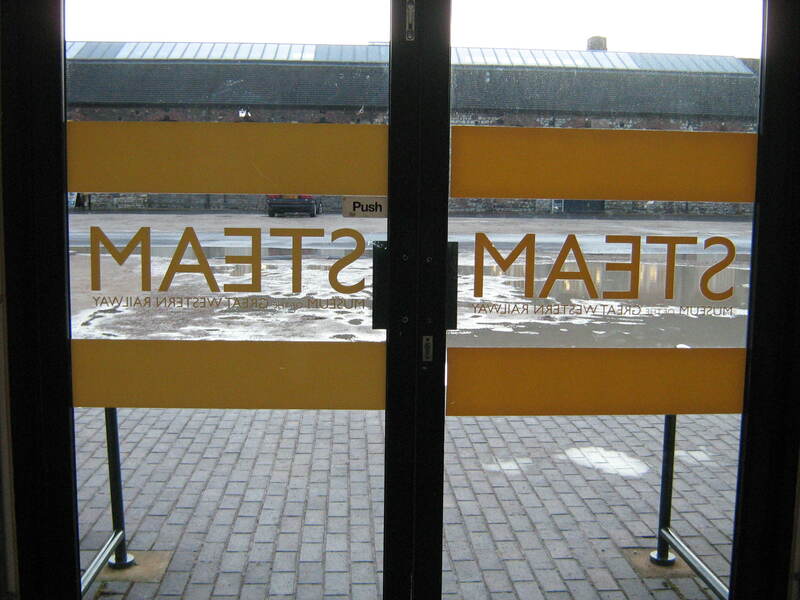 The doors of the Steam museum from the inside. 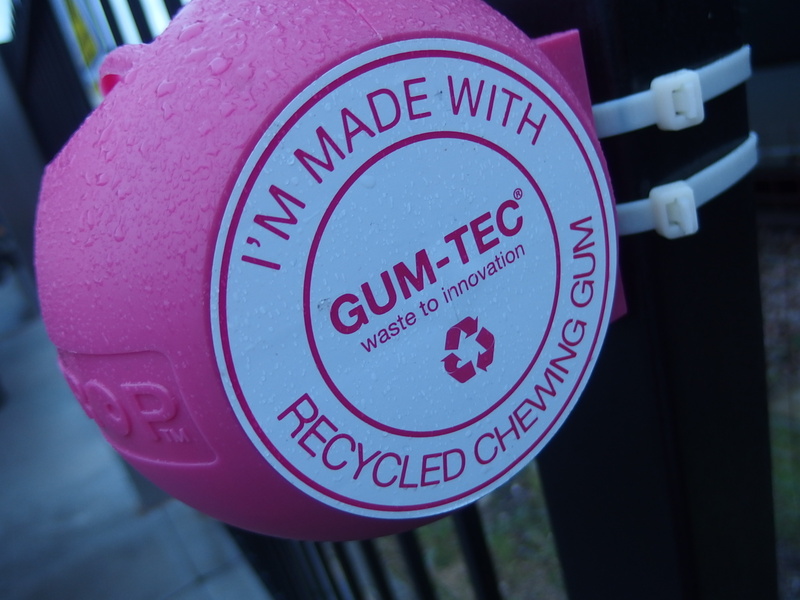 I was particularly keen to photograph this because I think its days are numbered. 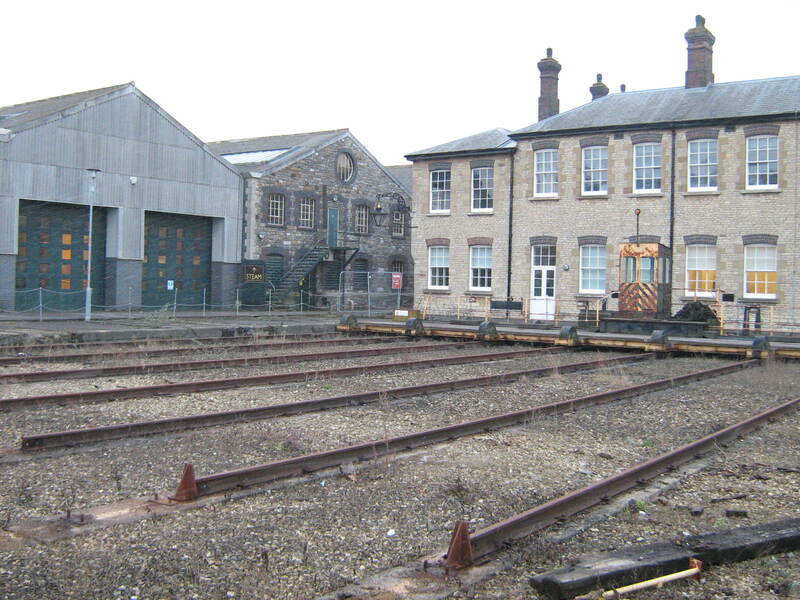 It shows the area where the finished engines would be moved outside and positioned onto the appropriate track to move them around the rest of the site. I used to walk past here every week on my way from the railway station to my voluntary work at the National Trust HQ at Heelis. It pleased me that this piece of our railway heritage was still there. However, houses are currently being built on this part of the site and already much of the track has been ripped up. The buildings on the right of the picture are part of the Steam Museum. It’s a shame they couldn’t have acquired this area to demonstrate what used to happen when this was leaving and breathing industry. 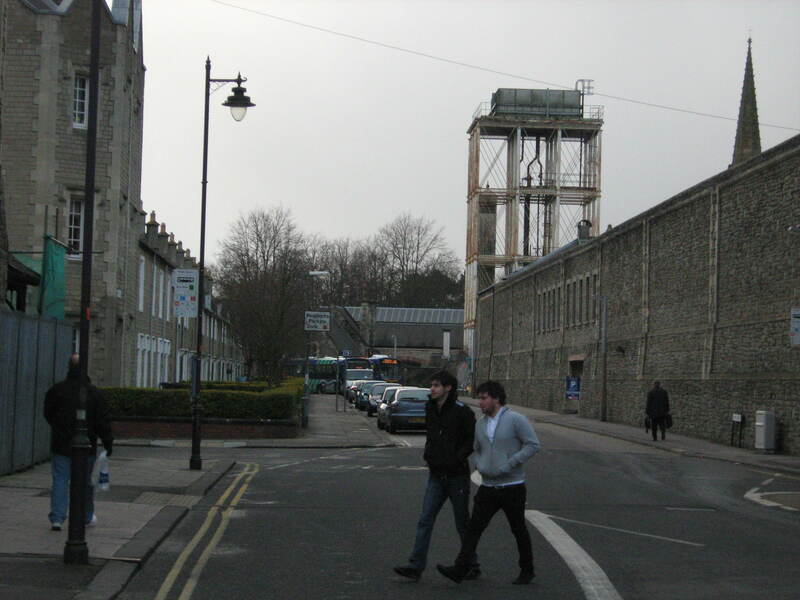 At the far end of the railway works site is the old water tower. This picture shows how close the railway village on the left was to the works to the right. The corner buildings of the railway village are taller and a little more ornate than the rest of the street. Some look like they may have housed people higher up in the railway’s hierarchy. 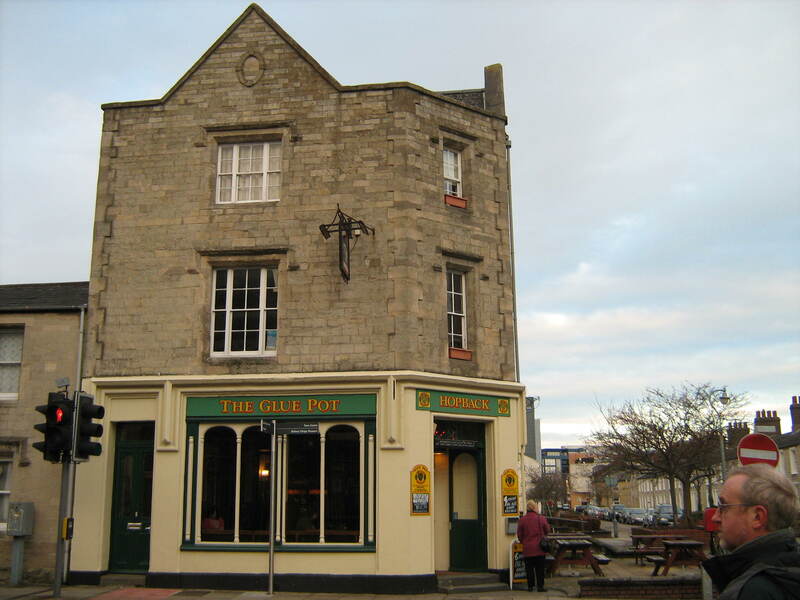 Many have a pub serving local ales.